The smartphone has made a new revolution in recent years and connecting people all over the world through some kind of social network apps. This is one of the examples and there are many categorized mobile apps coming to the market every day. 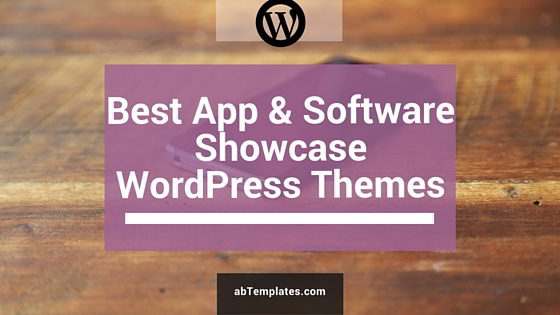 This article is all about best app & software showcase WordPress themes that app developers can use to showcase their mobile apps in a professional way. Building a website for your mobile app will be very useful to promote your product to a wider audience and help in providing much information to your users. You don’t have to hire web developers to build a website for your mobile apps. 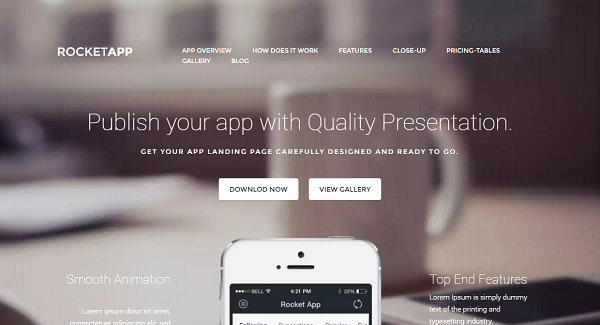 App developers can use these WordPress themes to build a website to act as launchpad iOS and Android apps. We thoroughly studied app developers requirements and came up with the below app showcase WordPress themes. 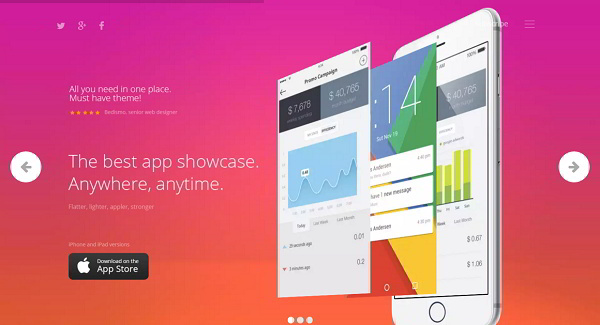 Agile is one of the popular multi-purpose app showcase WordPress theme on ThemeForest. You can use it on a variety of domains such as product, mobile app, photography and software showcase etc. It supports Visual Composer page builder from which one can create pages with drag and drop elements. 50 exclusive VC page builder elements and 9 custom templates are included. Agile WordPress theme comes with 7 custom post types, 25+ page sections, 60+ shortcodes, 1500+ retina icons, revolution slider, Flex & Nivo slider, 500+ google fonts and many other professional features. Grizzly is a fully responsive with pre-built app showcase and portfolio module. It comes with lots of unique features like app slider, app icon carousel, MailChimp subscription, 2 header layouts and various theme options. 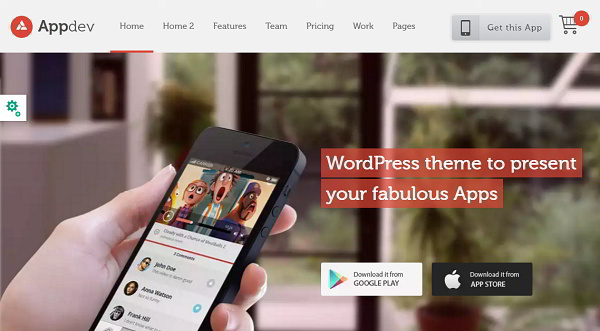 Appdev is a fabulous mobile app showcase WordPress theme. 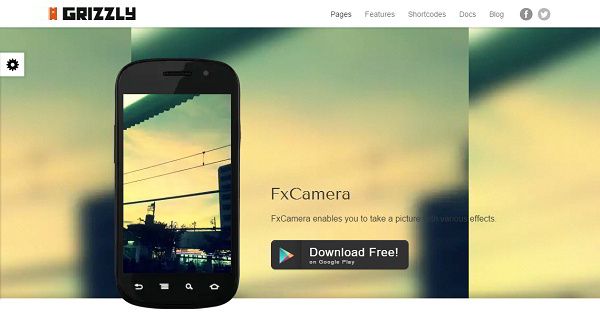 It has a single page and multi-page options with easy parallax background images. It is fully responsive and comes with powerful features such as smart tracking LavaLamp menu, responsive mobile slider, multiple custom post types, 500+ retina icons, shortcode builder, 500+ google icons and etc. Premium plugins like Revolution Slider, Flex 2 Slider, and Nivo Slider are included for free. With the extensive admin options, one can create unique unlimited sidebars, headers, unlimited colors and with included layered PSD files. 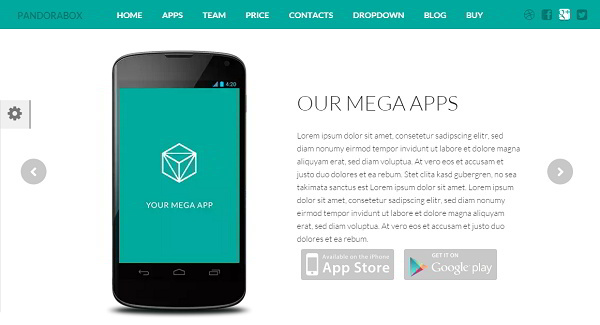 Pandora Box is a fully responsive one-page WordPress theme for the mobile app developer. It uses LESS CSS which helps to reduce page load and server request. It comes with 3 different styles, responsive 3D slider, 650+ Google fonts, includes layer PSD and custom exclusive plugins. Pursuit is a beautiful and flexible app and software WordPress theme with a specific focus on lead generation. 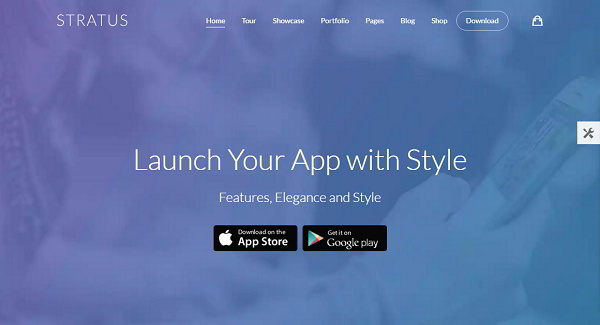 It is built on Bootstrap 3 framework and is fully responsive, retina ready, touch optimized. Pursuit has many unique features like one pager smooth scrolling, 500+ sharp font icons, advanced shortcode generator, full background image, custom page header options, parallax support, robust theme options, sticky header and unlimited sidebars that make your business successful. 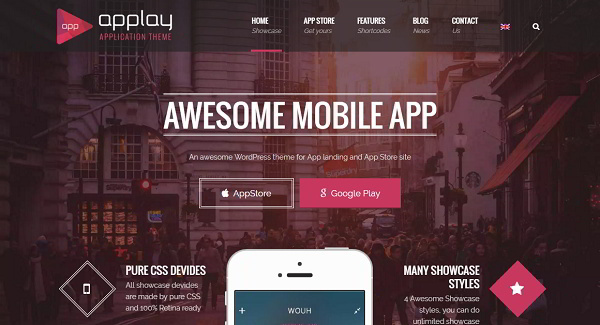 Applay is a multipurpose app showcase WordPress theme. It comes with Visual Composer – a drag & drop builder WordPress plugin(worth $25), interactive unlimited features slider, unlimited CSS3 devides, screenshot layers, listing devides carousel, 3 navigation styles, parallax effect, 4 homepage variations, 3 appstore variations and unlimited possibilities with theme options. Pursuit can fetch app from iTunes and Google play automatically and also includes form that allows user to submit app. It is WPML ready and bbpress compatible. Fusion is a mobile app showcase and landing WordPress theme with elegant and clean design that make this template special. It is handcrafted with care with modern design and clean typography selection. Fusion comes with unique features like app gallery with captions, 1500+ retina icons, revolution slider plugin, shorcode builder, flex & nivo slider, 500 google fonts, unlimited sidebars and easy parallax backgrounds. 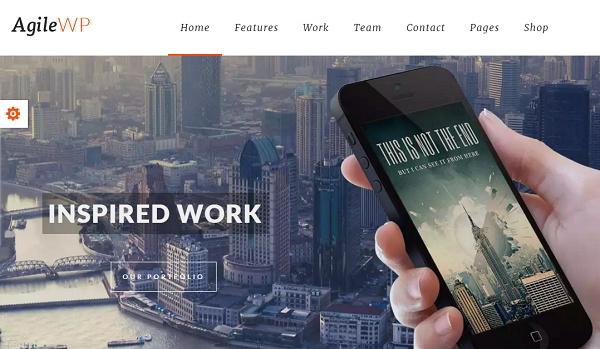 Stratus is an app, SaaS and product showcase WordPress theme. 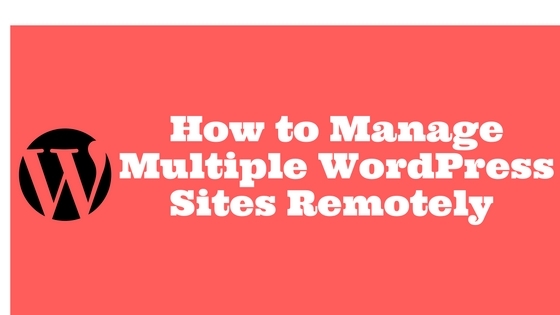 It includes premium master slider WordPress plugin. With easy to use page builder, box & full-width layout, 500+ icons, masonry style, parallax support and robust admin options, one can create a unique website. 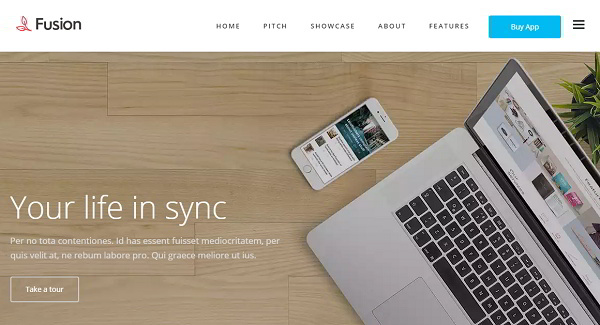 Appica 2 is a fully featured and best app showcase WordPress theme available today. 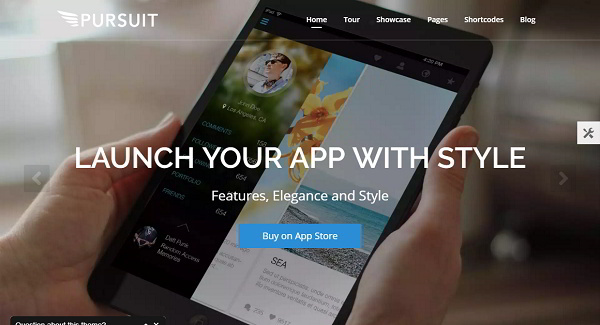 It brings beautiful IOS style and stunning material design that makes app showcase more native. Appica 2 is based on Redux Framework which allows you to customize the theme to your desire. It includes some of the popular WordPress plugins like Visual Composer($33), Revolution Slider($18) and other features such as animated intro section, fully responsive based on bootstrap 3 grid, 20+ shortcodes, 600+ Google fonts and layered PSD files. RocketApp 2 is a light and dark versions app landing WordPress theme. It is 100% responsive and comes with visual composer(worth >$25), the drag & drop page builder that lets you build amazing pages within a minute. RocketApp is designed on bootstrap 3 grid for mobile-first websites and includes GFX from pixeden. Powerful theme option lets you customize the theme as per the requirement.